This is the university I’m affiliated with. It’s ranked as one of the top three schools in all of Asia, and was established in 1911 by the British colonial government. Recently it’s undergone an extensive expansion, with a new section of the campus opening in just 2012. Luckily, it’s this part of campus that the Faculty of Arts and the Faculty of Social Science have moved to, so I get to enjoy the new and clean facilities! 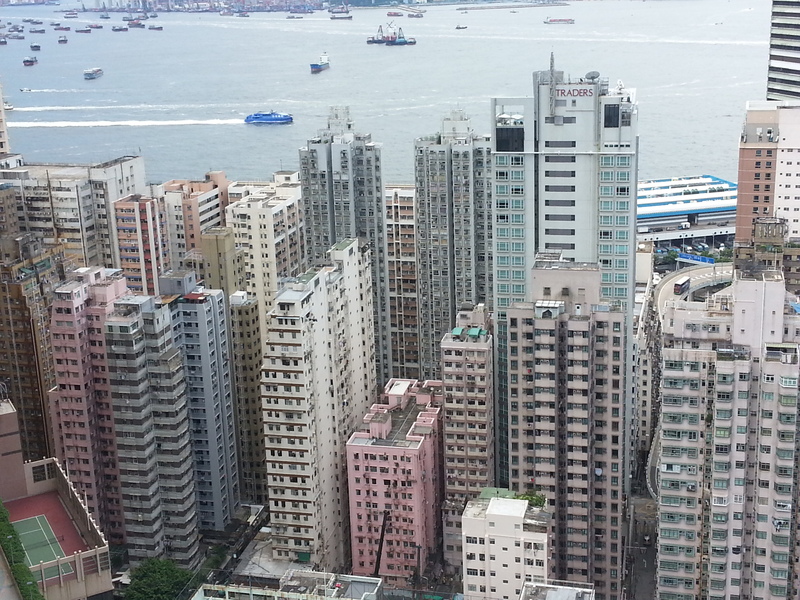 It’s built on a particularly hilly part of Hong Kong Island, so it’s difficult to get a nice picture of it without being distanced, so the photo above isn’t mine (unlike most of the others on the blog). 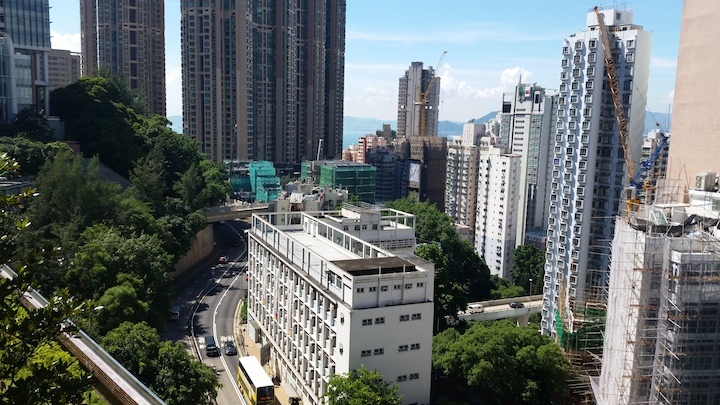 Its location also makes the school a bit difficult to get to – unlike most other places in HK, it’s actually surprisingly harder to access, since few modes of transit will drop you off at the university gates. I’ve been taking one of the small buses to get as close as possible, since the hills are enormous and exhausting, but you just can’t avoid the stairs no matter what you do. Universities and their relationships to the surrounding community always interest me. My undergraduate school was located in a notoriously bad neighborhood and had fences and gates marking it off from the rest of the area, but it also had some well-established university programs that engaged with local students. I’ve only been here for a day, so I can’t say for sure, but it seems like there is definitely local engagement in the form of student volunteer groups. The Hong Kong University Student Union (HKUSU) is also involved in the Federation of Students, which has been organizing with Occupy Central. More on that later. Often we talk about academia as an ivory tower, a place of overly scholastic work that does nothing to engage with the real world and its issues below. If academia is an ivory tower, then HKU feels like a tower in the sky. The image to the left was taken from the main “street,” an elevated walkway that serves as the school’s main hub. You can see the road far down below, and the ocean to the back. Being at HKU is truly like being on a different plane completely separate from the rest of Hong Kong. The environment, the altitude, the people, and the language are all different (because of English being the main language of instruction, and the school’s significant population of exchange and foreign students). This is the Pillar of Shame, which commemorates the 1989 Tiananmen Square protests and deaths. 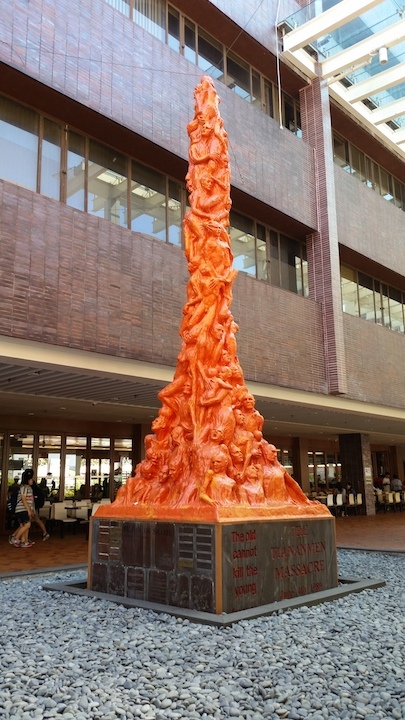 Written at its base are the words, “The old cannot kill the young forever.” In 1998, the HKUSU voted to give the statue a long-term home on campus. Last night I attended an open forum hosted by the Student Union to discuss the upcoming student strike. About 100 to 150 students attended in a fairly small indoor space in front of an on-campus Starbucks, all of them ethnically Chinese except for about 10 people, almost all of whom were “white.” Five of the HKUSU members sat with these people (including me) and translated the proceedings, which were all held in Cantonese. 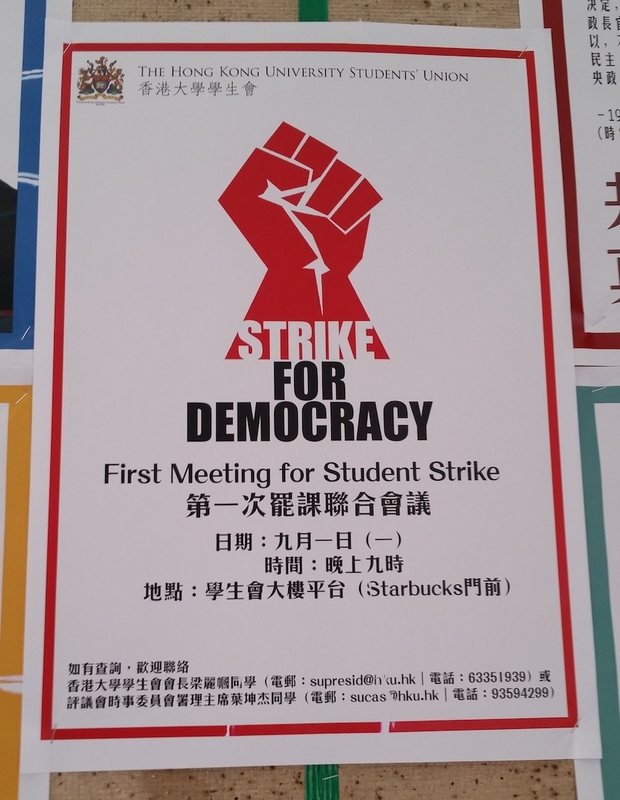 The meeting was pretty similar to other student activist gatherings I’ve attended – they discussed the background of the issue at hand, introduced the HKUSU’s proposed actions (a one-week boycott of classes), and asked for opinions and responses. Most students were concerned about how to handle the responsibilities of their classes and a one-week strike; others discussed the merits and disadvantages of gathering in certain locations during the strike. 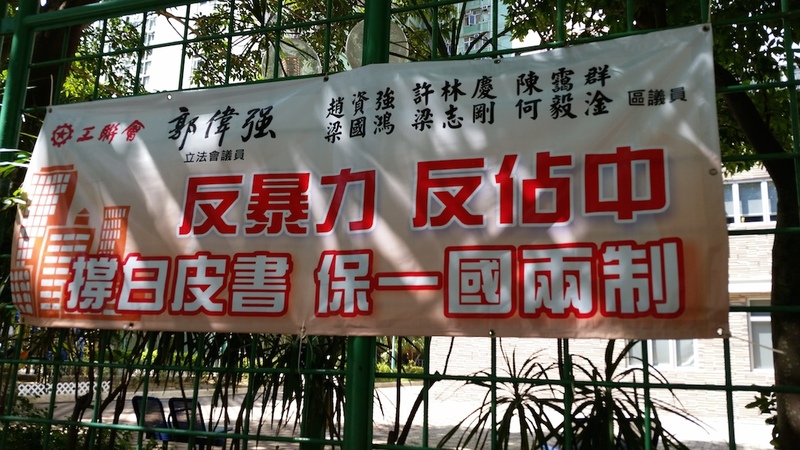 One person, who was a graduate student, talked about the problem of the pan-democrats’ emphasis on how Beijing’s proposal for elections failed to meet “international standards.” If people kept focusing on meeting international standards, then they implied that Hong Kong sought to be an independent country – a very good point. He suggested they focus on the injustice of the proposal instead.